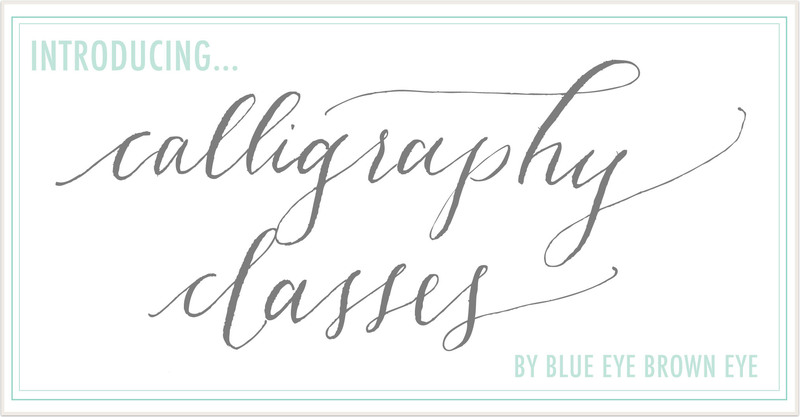 Brand New and Updated :: Blue Eye Brown Eye Calligraphy and Letterpress Classes! After several inquiries, I’ve decided to start up a beginner calligraphy class – and I’m very excited about it! If you’re interested, read a little bit more about them below, or click here for dates and booking information. I’m also starting up my letterpress classes in full swing again – so if you’re interested, check out more information below and here. From start to finish, you will create your own set of letterpress notecards and learn the basics of printing on a 5 x 8 vintage Kelsey Excelsior press. 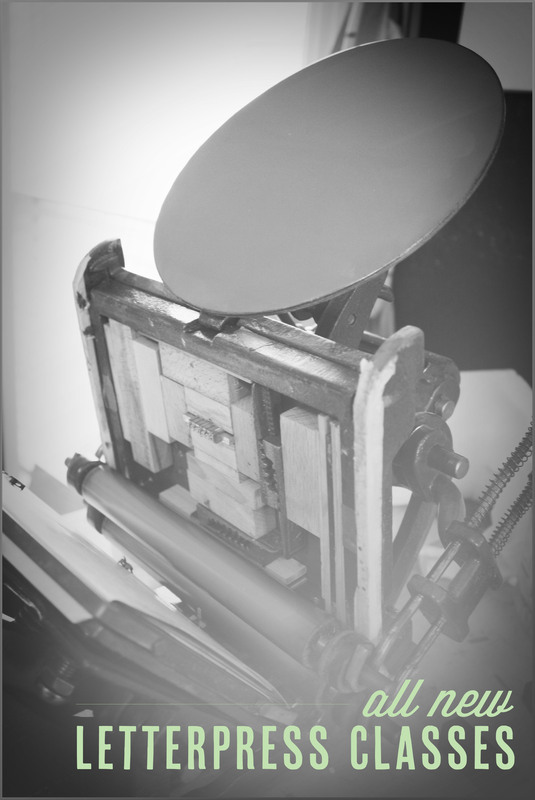 You’ll learn how to mix ink, set type, lock up a chase, ink up the press, register your cards, and print! (Don’t know what any of that means? That’s okay! These classes are meant for beginners). You’ll pick your own type from the collection I have in my studio, and choose your own color to print your cards on. Classes will consist of 1 – 3 people, depending upon availability. I keep classes small to maximize time on the press! If you’re interested in learning calligraphy, thinking of starting your own business, or just like to try something new – this class is for you. This class is truly meant for beginners – if you’ve never picked up a calligraphy pen before, you’ll want to take this class! We’ll go over the basics, including dipping your pin in ink, understanding ink flow and pressure, and basic script letter forms. I’ll be available to answer any questions about calligraphy and starting a calligraphy business. Classes will be either one or two students in order to maximize quality learning. Excited to see you are doing this! I’ve been looking for a calligraphy class that will work with my schedule to no avail. This could be a perfect intro for me…yay! Really interested in your calligraphy class! Would be interested in getting more information on that! I have been looking for a course in calligraphy for several months. I’d love to see if I can do it well enough to possibly start my own business. Are you still teaching and would you be starting a class sometime soon? Judy, check out my classes tab on my site – all information there!